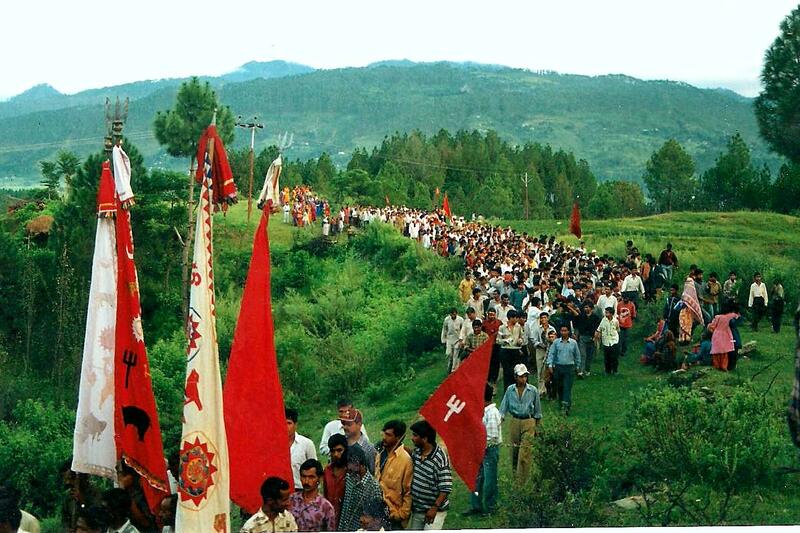 After two years of postponement the eagerly awaited Nanda Devi Rajjat Yatra will finally take place from 18th August to 6th September this year. 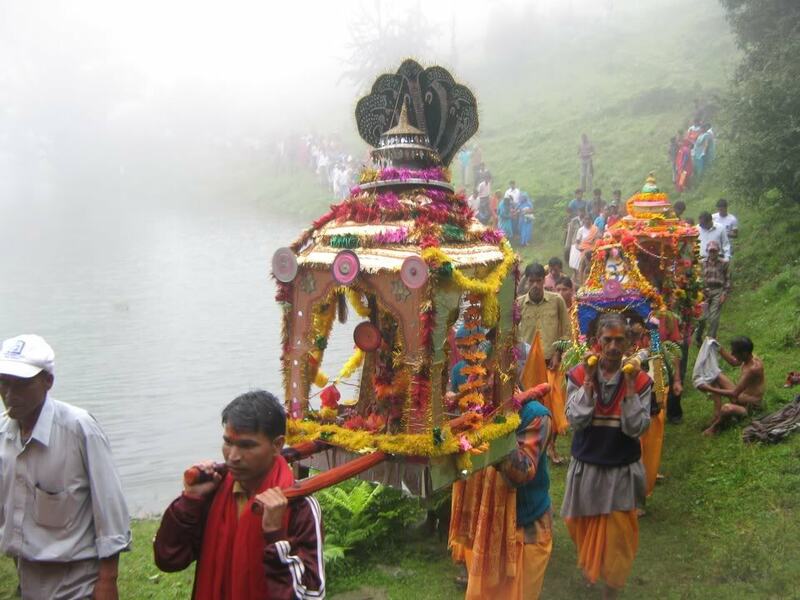 The Nanda Raj Jat takes place once every twelve years – the journey starts from Nauti village (Karnaprayag district of Uttarakhand state in India) accompanying a mythical four-horned sheep and Doli and all sorts of gifts for Nanda Devi, who is treated as a daughter revisiting her mother. Last Yatra happened in 2000. Hence it was originally scheduled in 2012 but was postponed due to Malmaas (one inauspicious month) in that year. Hence rescheduled to happen in 2013, again last year it was postponed due to natural catastrophe (flash floods) in Kedarnath area, which created widespread destruction and huge loss of life and property across Himalayan region. Now, if everything goes as per plan, then Yatra will bring cheers to the many. Nanda devi – the daughter of Kings of mountains, and the consort of Lord Shiva – is the supreme spiritual goddess of the locals of Garhwal and Kumaon region. She visits her maternal dwelling in these Himalayan heights in the Bhadrapad (months of August – September) – and this festive break is celebrated by the natives. The 280 kilometres and 19 days trek starts from Nauti Village and reaches Homkund via the amazingly picturesque Bedini Bugyal, Roopkund (4501 m) and the very difficult Jyura Gali pass (4620 m), on Nandashtmi. The trek passes through some of the most beautiful and some very tricky landscapes in the area. It is said that four-horned ram is born once every twelve years, and this very ram leads the procession. People do not go beyond Homkund, from where the ram takes the gifts and disappears in the glaciers. Once the ram is released, no one looks in its direction and the procession immediately heads back home. One can attend the ceremony at Nauti village and then proceed to other places of interest before joining the procession again via Wan. It is at Wan that some 300 idols and decorated chhantolis (umbrellas) are assembled and the journey continuous all the way to Homkund. Besides, Nanda Devi (7816 mts) is also the second heighest peak in India, located in Chamoli District of Uttarakhand. 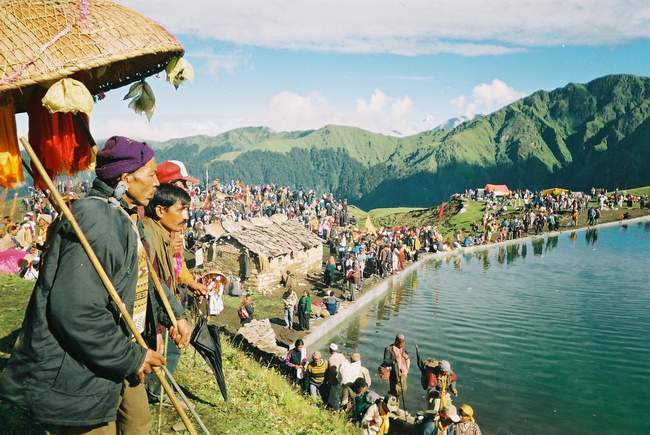 The route of Yatra passes through beautiful and mysterious lakes of Roopkund & Homkund and slopes of Bedini Bugyal. Besides Yatra, this route is also considered to a trekker’s paradise for its mesmerizing natural beauty, but it is also tough and challenging. Trekkers around the world dream of going to this area. The Nanda Raj Jat passes through places, that don’t find mention in most tourist maps and well-hidden inlands. This religious trek is meant strictly for the die-hard trekkers. Simultaneously this trek presents one the prospect of exploring a real Uttarakhand – its culture, traditions, people and authentic cuisine. Next page Next post: Photo of the day – The morning after!